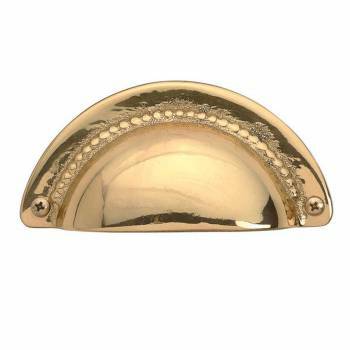 This bright brass hooded drawer pull is protected with our exclusive RSF finish. 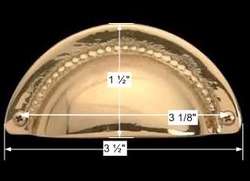 It has a 3-1/8 in. boring and is 3-1/2 in. long x 1-1/2 in. high with a 3/4 in. projection.